Hello beauty junkies! I am a huge fan of clay based natural and soap free facial cleansers. I have used a lot of them but have liked only some certain some ones. Today I am reviewing one such facial cleanser by the brand Bubblesandsqueek. The brand is a brainchild of Mrs Waseema Umme Ammara based in Bangalore, Karnataka. Let's see how the cleanser fared for me. 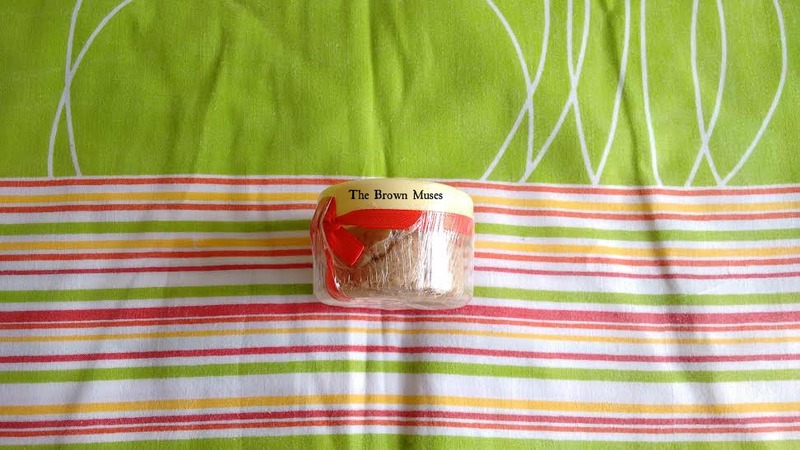 All natural facial cleanser with ground almonds, clay and the wonderful jojoba oil. Has mild exfoliating properties and can be used daily. Cleanses the face leaving it soft, supple and moisturised. Natural facial cleansers and I are bffs. I mean ever since I switched to natural and clay based cleansers there's been no looking back. My love affair with this cleanser is no different. 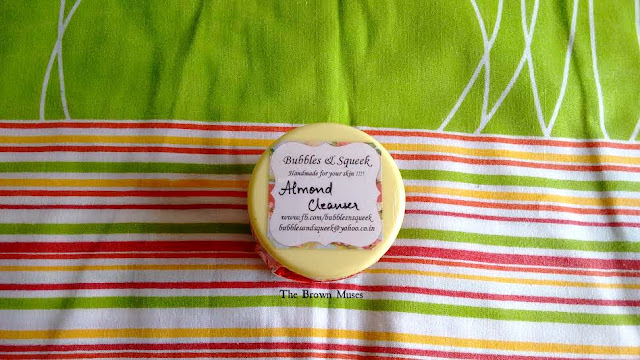 The almond facial cleanser comes in a plastic jar with a pale yellow coloured screw lid. The lid shuts tight hence making it safe for travelling. The jar contains almond cleanser which smells of almonds with bottom notes of lavender EO. The cleanser has a coarse/grainy texture which renders mild exfoliating properties. I use the cleanser 3-4 times a week at night. The cleanser is an important part of my CTM routine. I make sure I use a clean and dry spoon to scoop out desired product. I take a little amount of cleanser in my palm and mix it with a couple of drops of water to form a thick gooey paste. 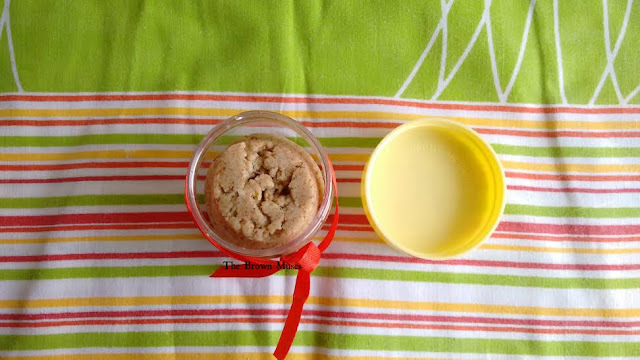 You may also use rose water, milk etc depending on your skin type to make a thick gooey paste. I rub the cleanser between my palms and gently massage it all over my damp face. Since the cleanser contains almond powder as the main ingredient, it provides mild exfoliation too. I tend to focus more on my T-Zone and forehead. I also clean my neck along with my face as the neck needs TLC too. I leave the cleanser on my face and neck for a couple of seconds and rinse with plain water. The cleanser makes my skin really soft and leaves it clean and fresh. I have never experienced any sort of dryness due to the presence of jojoba oil in the cleanser which is known for it's hydrating effect. Additionally, there's no greasy residue left behind. Since the cleanser is very mild and soap free do not expect it to remove makeup. The best thing about the cleanser is that I have never experienced any kind of irritation, allergy or breakouts upon using the product. But a patch test is still recommended for those with allergies. I am also not sure if this is meant for all skin types, therefore before purchasing please confirm it with the brand. To conclude, the cleanser is really awesome and it leaves my skin fresh, clean and soft. Gently cleans and freshens up the skin without dehydrating it. Renders mild exfoliation too due to presence of almond powder. Contains goodness of jojoba oil, lavender EO. Very little quantity is required - will easily last for 2 months if used 3-4 times a week. Caused no irritation, allergies or breakouts. 100% soap free and very gentle on the skin.